First of all, thank you to everyone who made the 2014 Track Dinner Auction a huge success. The response from everyone in support of a new track for the community was been overwhelming. People have donated their time, talents and gave generously to this much needed addition. The track will not only be used by the students at New Haven but will benefit the community as a whole. 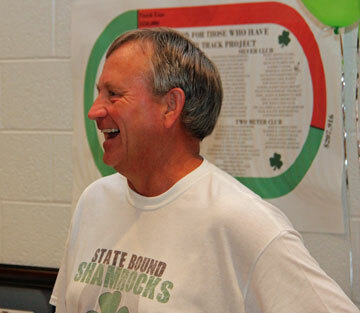 Coach Ray Steinhoff smiles in amazement in the amount auctioned for basketball lessons with the coaching legend. 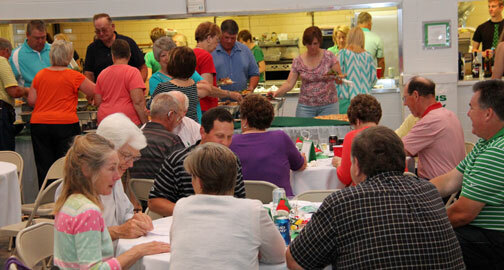 The 2014 Track Dinner Auction raised $47,000 with all proceeds benefiting the new track. 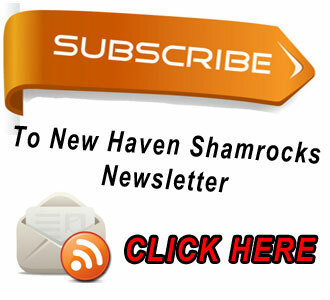 We currently have $270,000 in cash in the bank, and have commitments of an additional $45,000 for a total of $315,000. All of this has been collected, raised and donated in a little over a year. The end of this project is so close that it only seems fitting that we finish what was started and have another dinner auction to complete this endeavor. 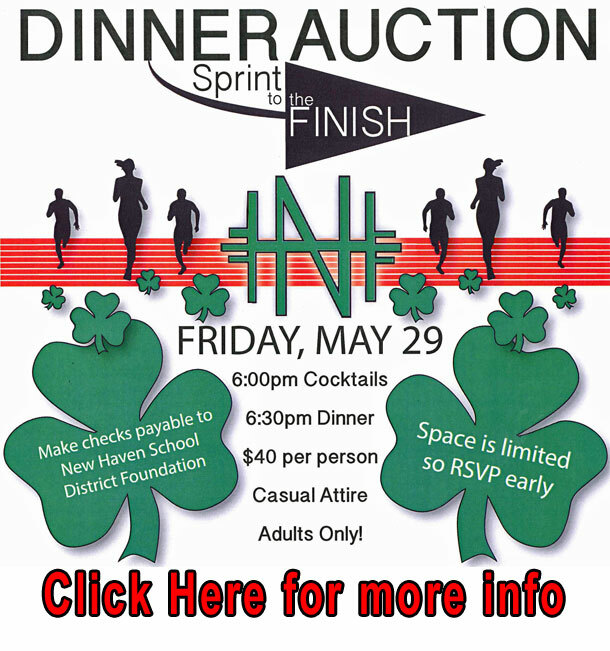 "A sprint to the Finish" will be held on Friday, May 29 at the Assumption Parish Center in New Haven. The event is casual attire. The evening will feature cocktails, dinner, raffles (including 50/50), silent and live auction bidding. There will be something for everyone to enjoy. Dusty Thornhill (Pictured from last year's dinner auction.) 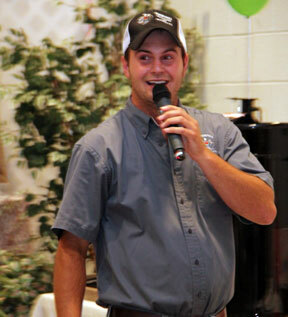 will once again be the auctioneer and he is sure to provide much entertainment for the evening. Don't delay in making your reservations for this great event, but if you are unable to attend you can still help by making a cash donation or donating an item for the live or silent auction. The cost is $40 per person with cocktails beginning at 6 p.m. followed by dinner at 6:30 P.M.